Printing is the best way of reproducing the Bible for everyone. However, buying new printing equipment takes large money. It is much cheaper to hire a ready printing press and necessary accessories for printing. 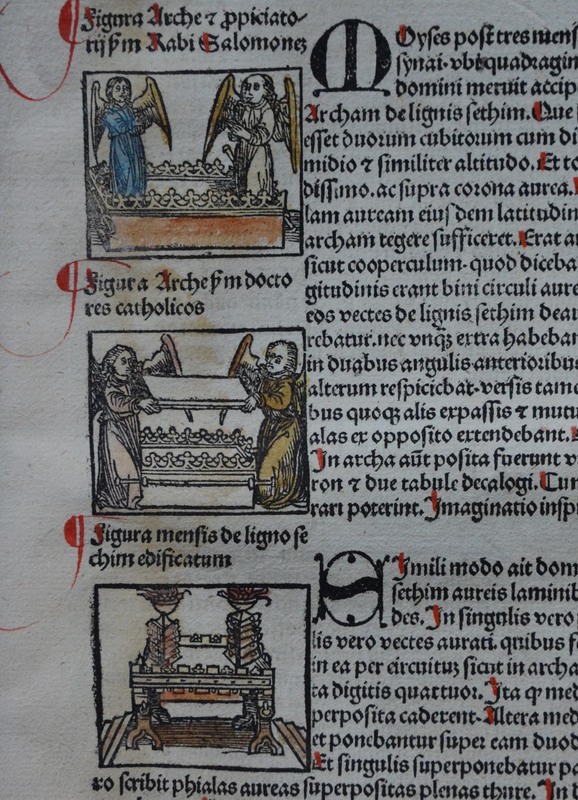 In Prague of the 16th century, different people hired the merchant Severin's printery for their book projects. 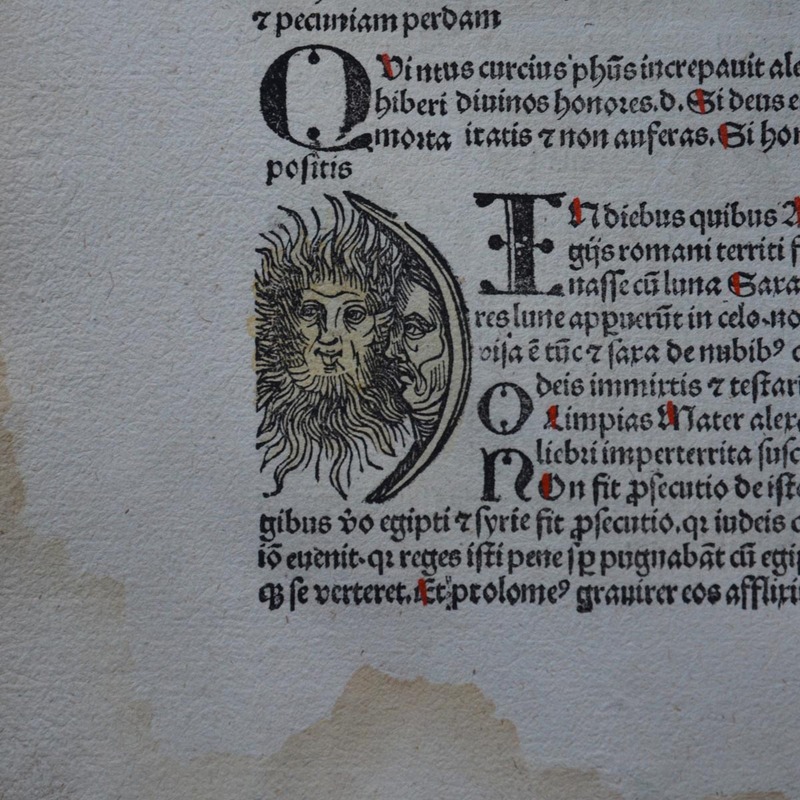 To hold a monopoly of his printing house, Severin rented it out. 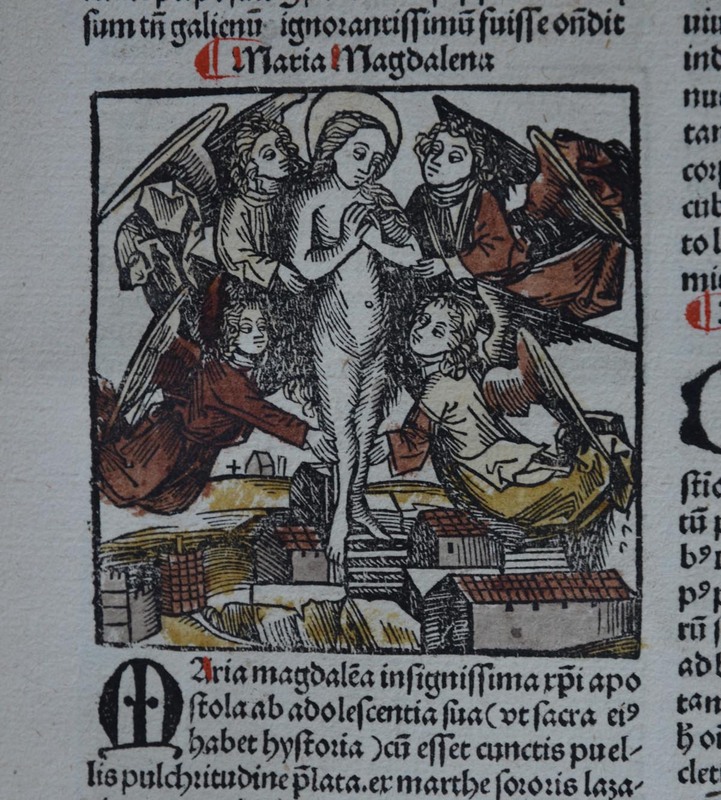 The first to rent Severin's printing house was a master who published the Prague Bible in 1488. The shop was also used by the printer, now called the master of Koranda1. At the early 16th century, the Jewish printers published the Siddur (prayer book) in this printing shop. 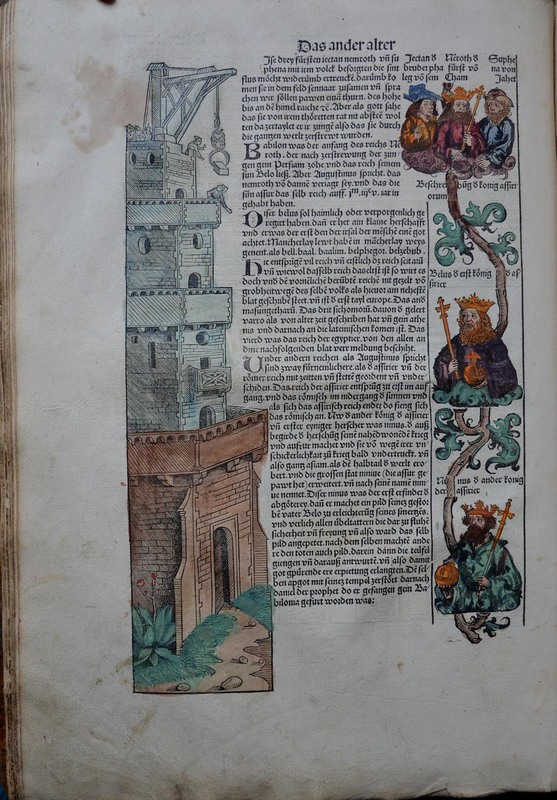 Here, Gershom Cohen could work on the completion of the Jewish Pentateuch, and, in 1513, Bessus v. Moravus issued the confession of faith of the Utraquists (representatives of the Hussite revolutionary movement), which ended with the printed coat of arms of Prague. Skaryna appeared in Prague around 1515. For him, the Utraquists were well understood: they also believed, like the Orthodox, in the sacrament of bread and wine. 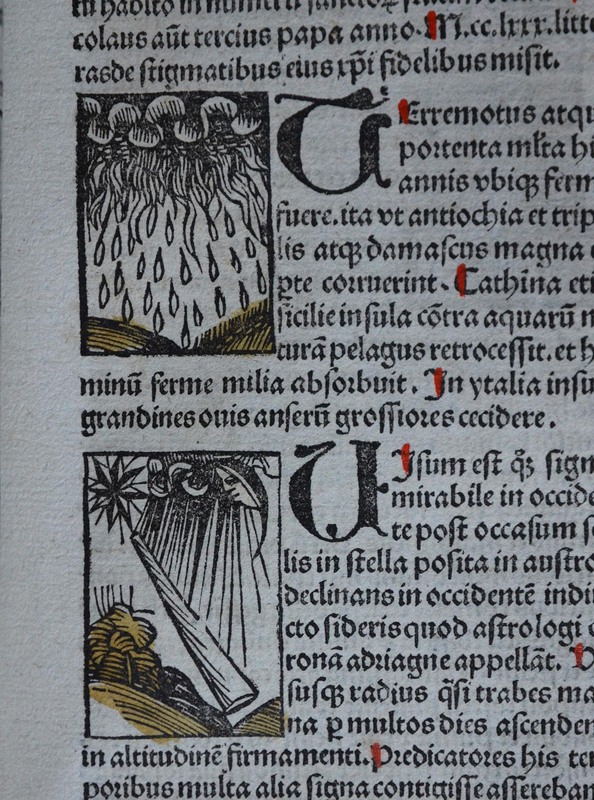 Until the autumn of 1517, Dr. Skaryna prepared his future publications: he made translations of texts from Czech into his native language, at the same time, he commissioned artists to make engravings and ornamental headpiecess, bought some finished woodcuts. There were no movable types in Prague, so Skaryna had to go to one of the German printing centers (perhaps it was Nuremberg) to produce type pieces. It was necessary to keep in touch with Vilna and Polotsk: the main customer and sponsor of the publications, the member of the city magistrate Bogdan Onkov lived in the capital and Francysk's brother, who continued his father's trade and dealt in leather, was a resident of Polotsk. 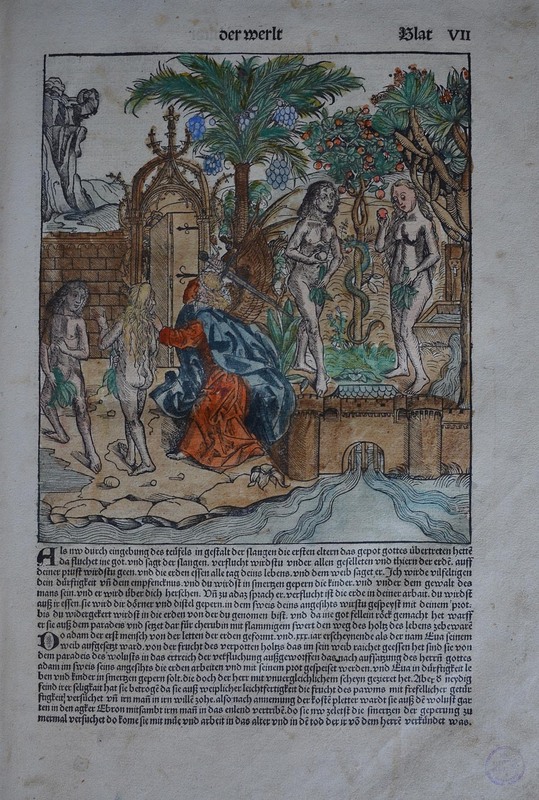 The modern Czech researcher Petr Voit has proved that in the early 16th century, seven Prague printmakers engraved illustrations for books, three of them collaborated with Skaryna. These were the so-called Master IP, the Master of the refined stroke and the universal Master of Skaryna's decoration. 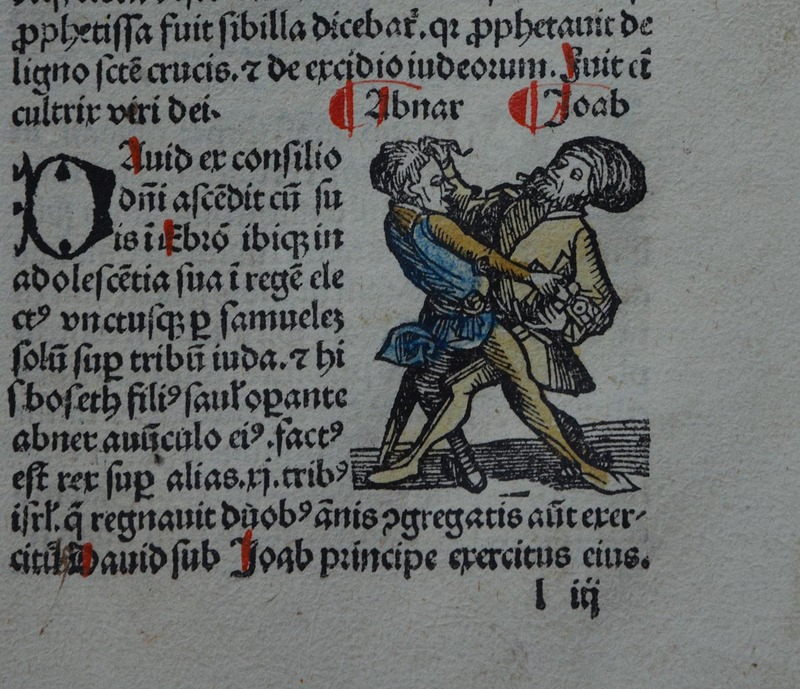 The first two worked simultaneously for the Jews and Utraquists printers2. 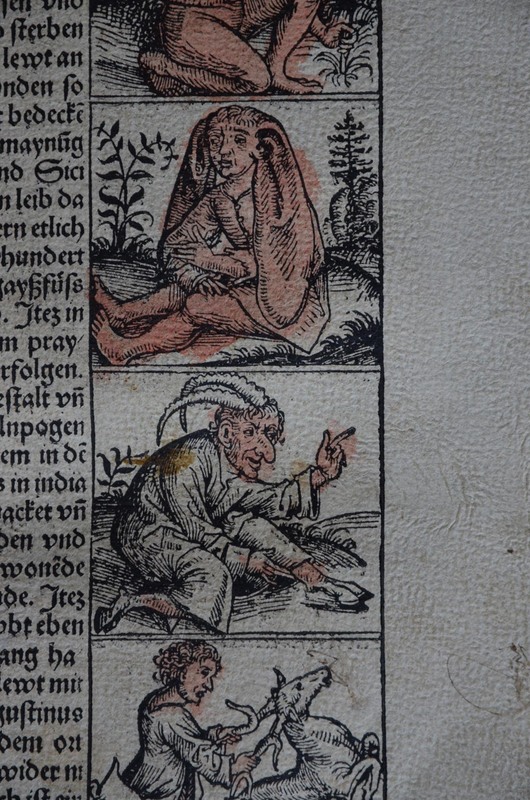 Each Skorina's biblical book contains illustrations: among them are initial letters with coloured images, ornamental and figured headpieces, engravings - the entire illustrative cycle consists of 38 cliches. 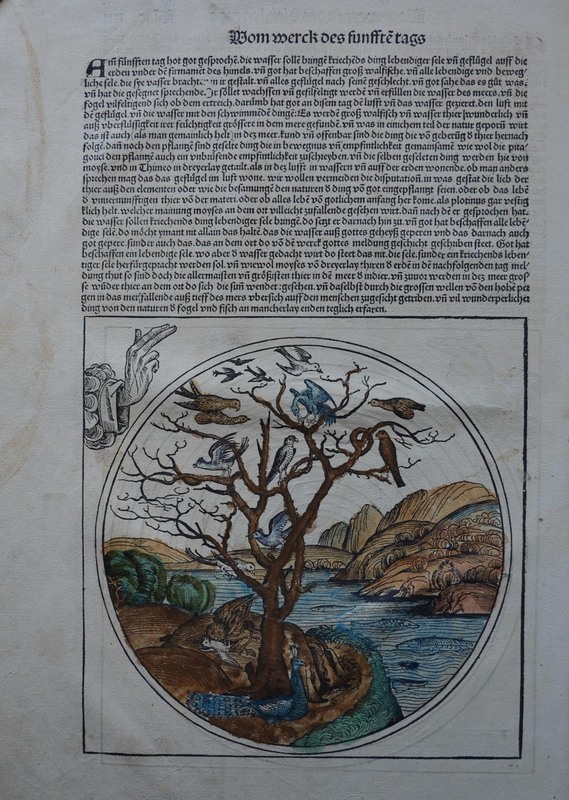 In the engravings, one can found quotes from the editions of the Nuremberg typographer Anton Koberger, for example, from the «Book of Chronicles from the Creation of the World with Figures and Images» of 1493 by Hartmann Schedel or «Postilla super totam Bibliam» of 1481 by Nicholas of Lyra. 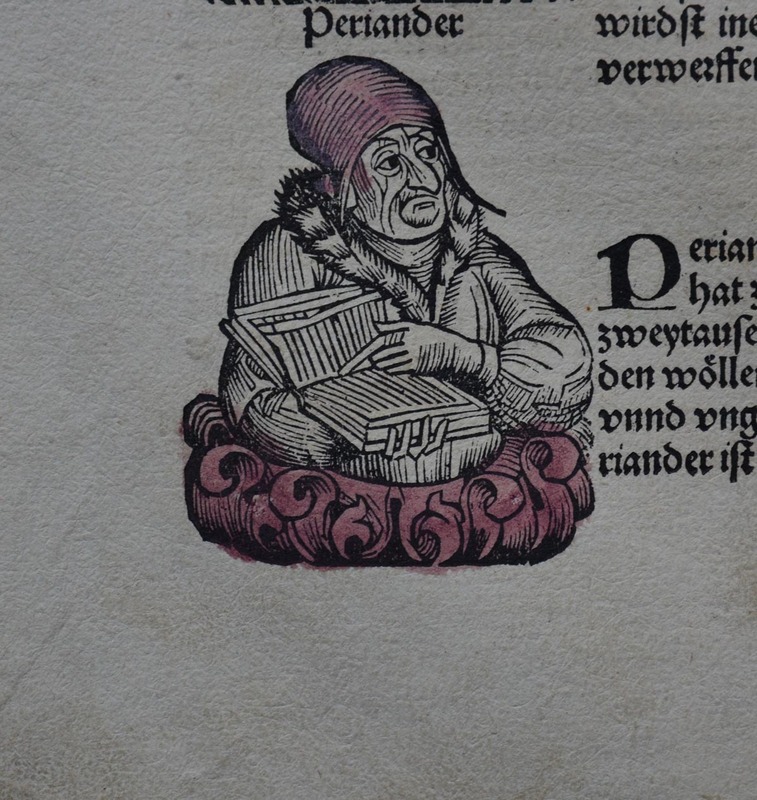 The Prague masters made some characters of the engravings similar to real figures of their time. In the engraving «Moses in Front of the People», the first line of Israelis consist of three figures with individual traits that allow experts to identify them with the Czech King George of Poděbrady (a fat man with a mustache standing to the righ) and two Jagiellonian kings of Hungary: Vladislaus II († 1516) and Louis II (†1526). 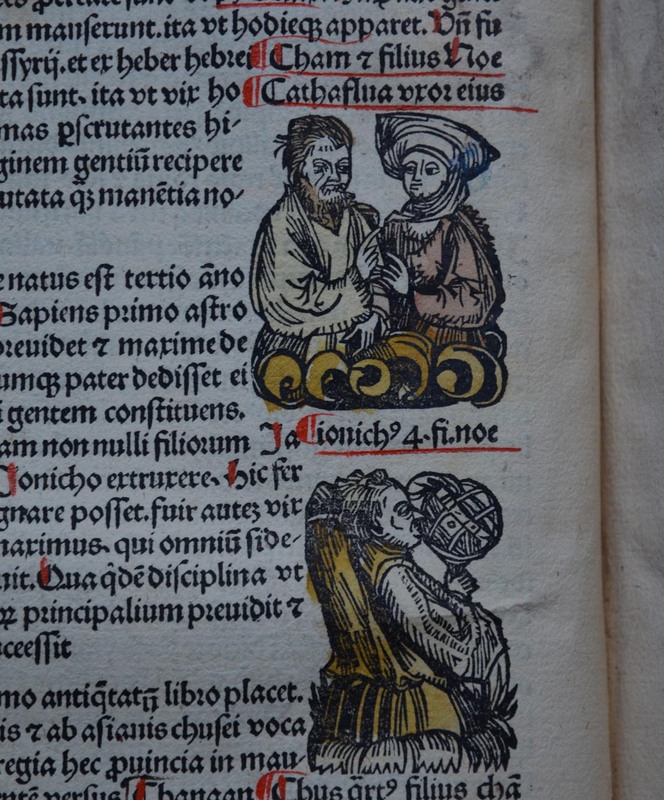 King Vladislaus probably depicted in the scene of Solomon and the Queen of Sheba. 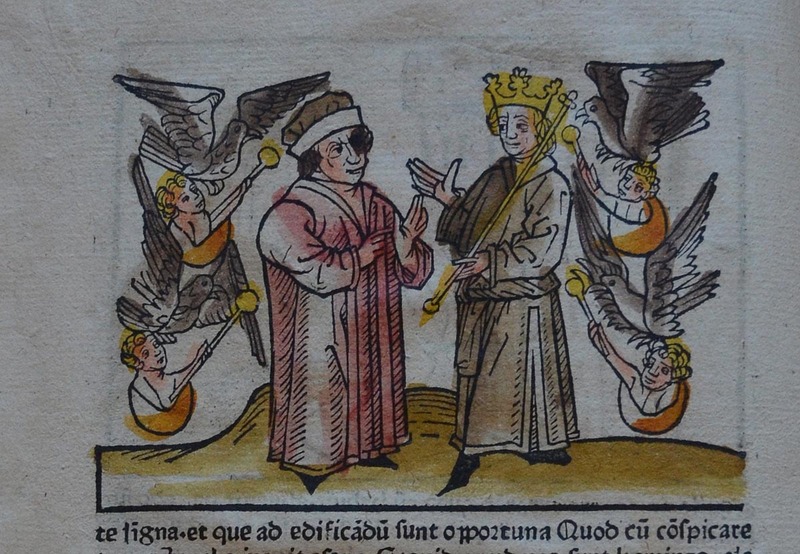 Louis II, during whose reign Skorina worked in Prague, looks like King Solomon on the illustration of the Solomon Court. The broad-cheekboned Samson on Skoryna's engraving is similar to the King of Poland and the Grand Duke of Lithuania Sigismund I the Old. In the scene of the Siege of Jerusalem, the city of Jerusalem resembles the Prague New Town with the Emmaus Benedictine Church in the middle. 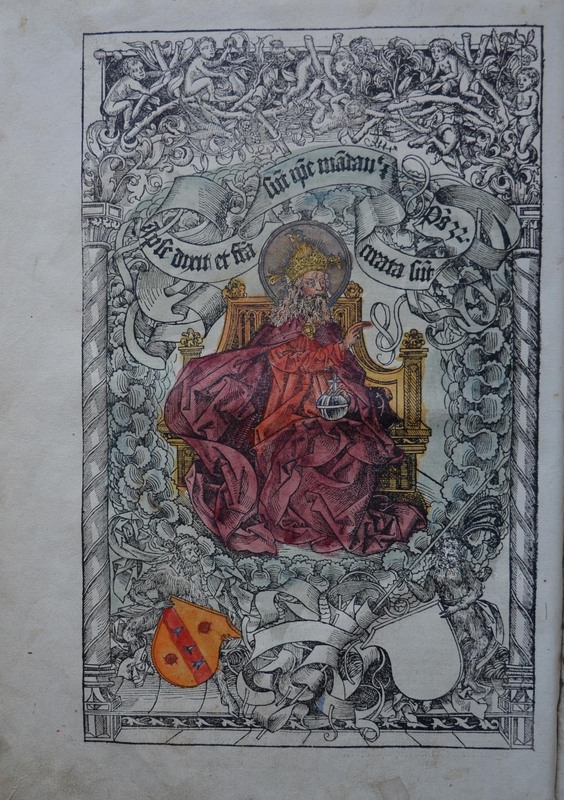 Some engravings in Skaryna's books are executed more elaborately than in modern Czech and German editions. It applies, for example, to the images of Job or Judith who killed King Alafernes. 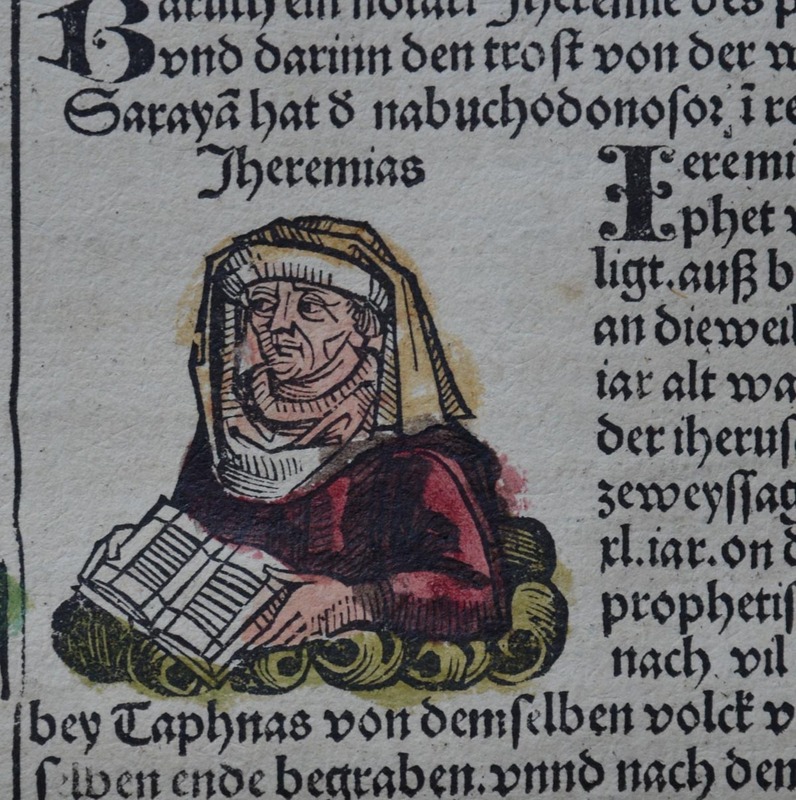 In 1519, F. Skaryna stopped printing in Prague. The reason why the project was not finished is unknown. It is not also known whether the purpose of the original project was publishing all the books of the Bible. Perhaps, having seen the impossibility of working further and having estimated the work already done, he changed the attitude towards the project. 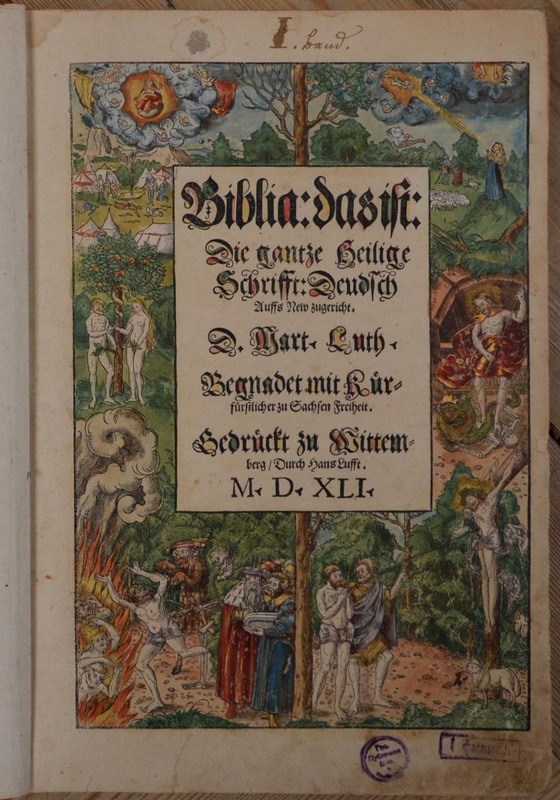 Skorina made a common title page, on which he printed in cinnabar: "Biblia Russka (The Russian Bible)". Under this title page, it was possible to collect previously published books in a large volume, and the books were sold both wholesale and retail. However, no such volume compiled in the 16th century has been survived, it was recreated only in the 19th century in the Imperial Public Library in St. Petersburg. 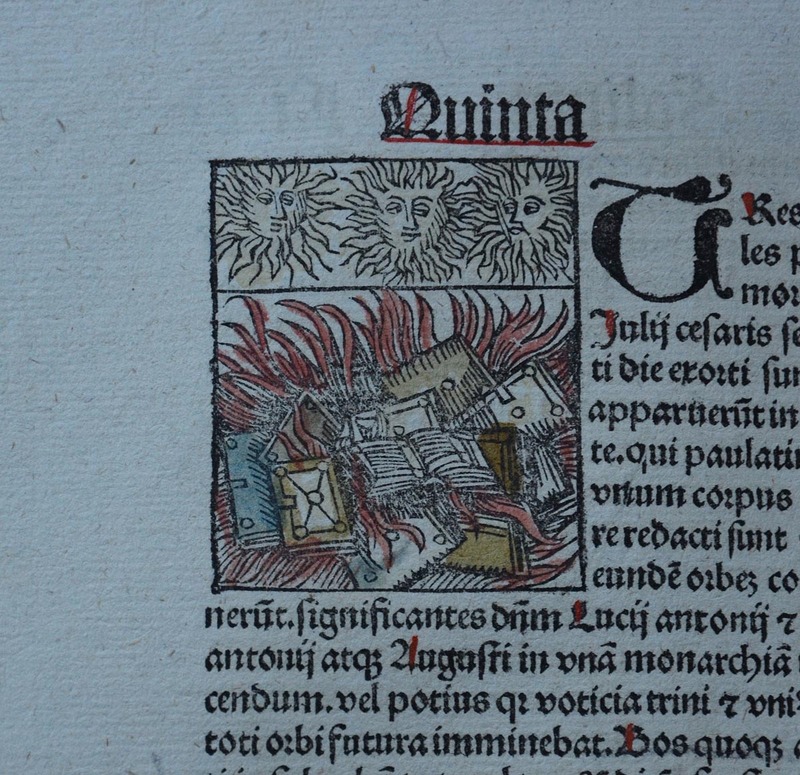 Perhaps,this happened because Skaryna sent printed books to Vilna immediately; some editions of 1517-1518 had been sold out by 1519. 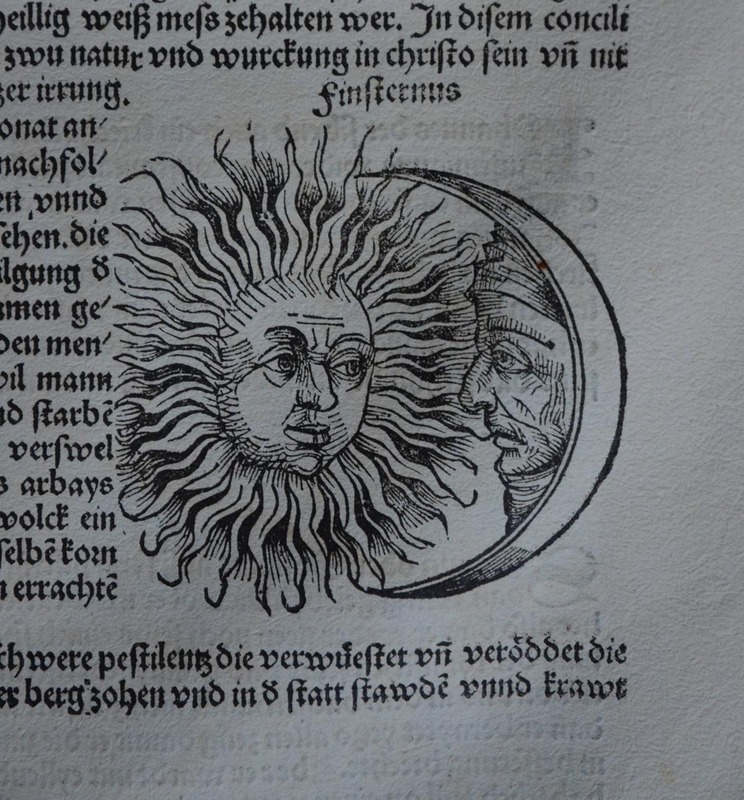 Page from the «Book of Chronicles» («Liber cronicarum») Hartmann Schedel. 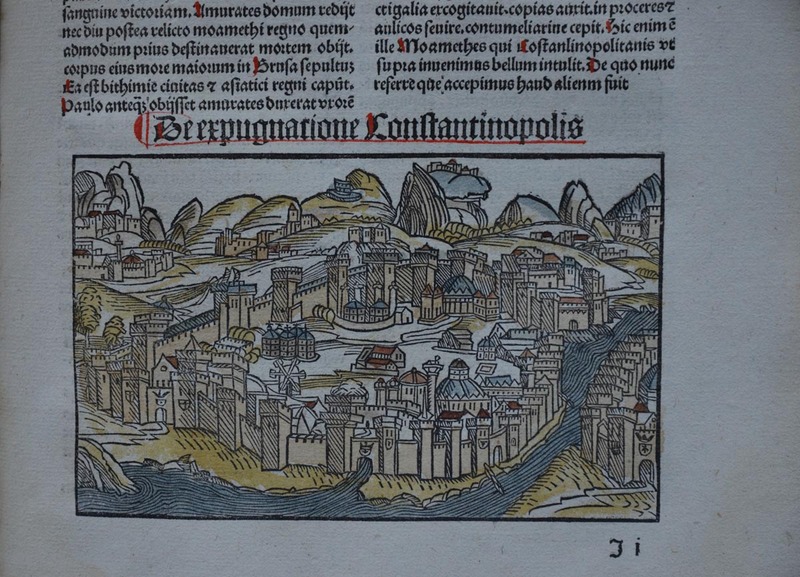 Nuremberg, 1493. From the National Library of Russia. 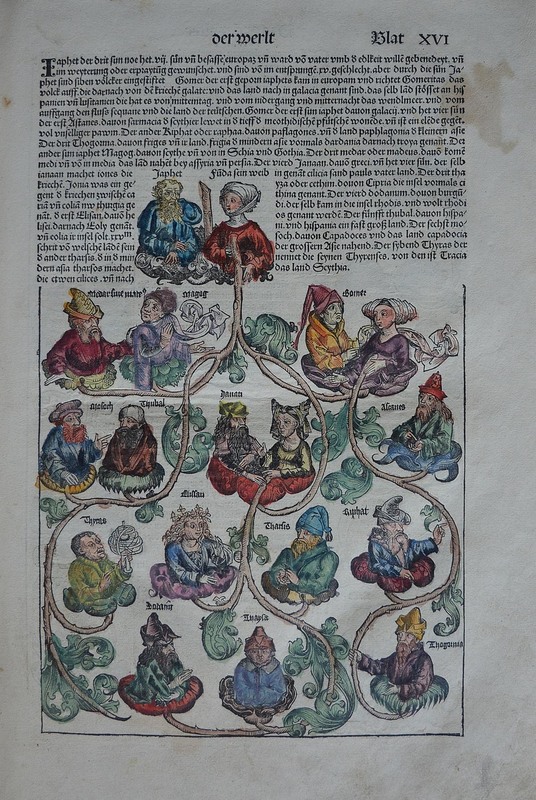 Page from the «Book of Chronicles» («Liber cronicarum») Hartmann Schedel. Augsburg, 1497. From the National Library of Russia. 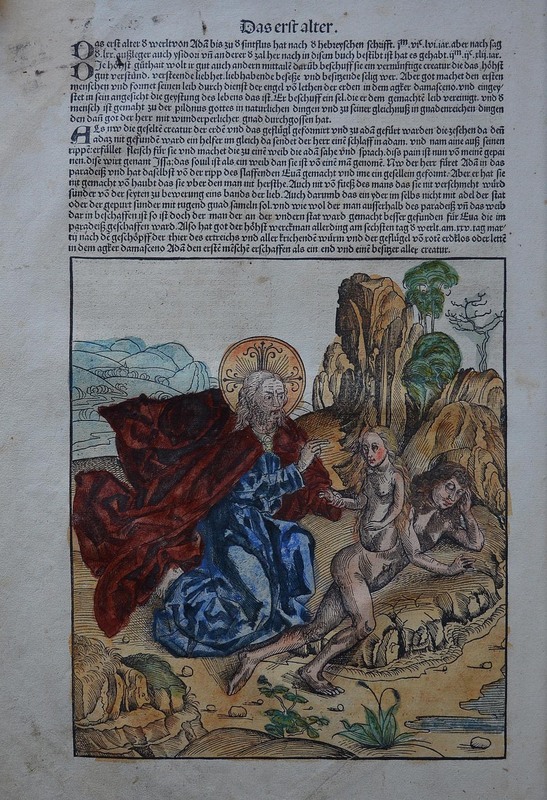 Coloured copy of Martin Luther's Bible. 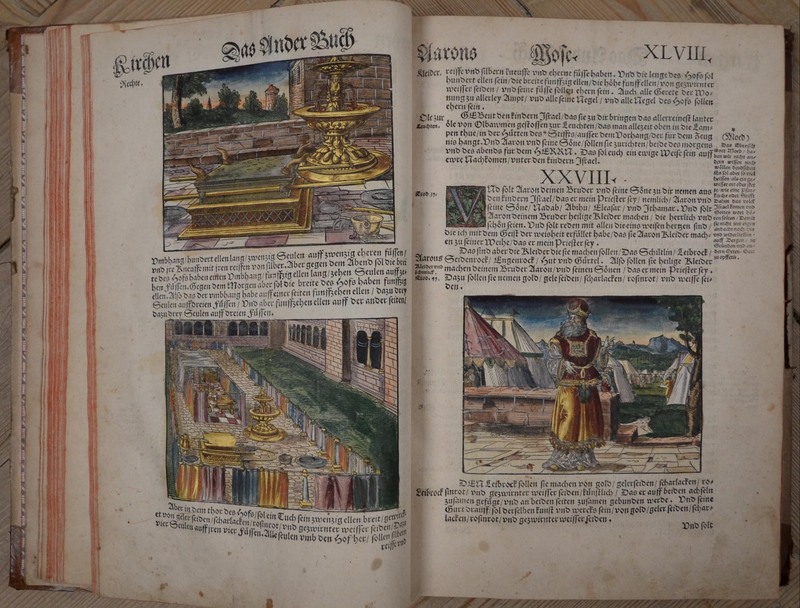 Wittenberg, 1541. From the National Library of Russia. 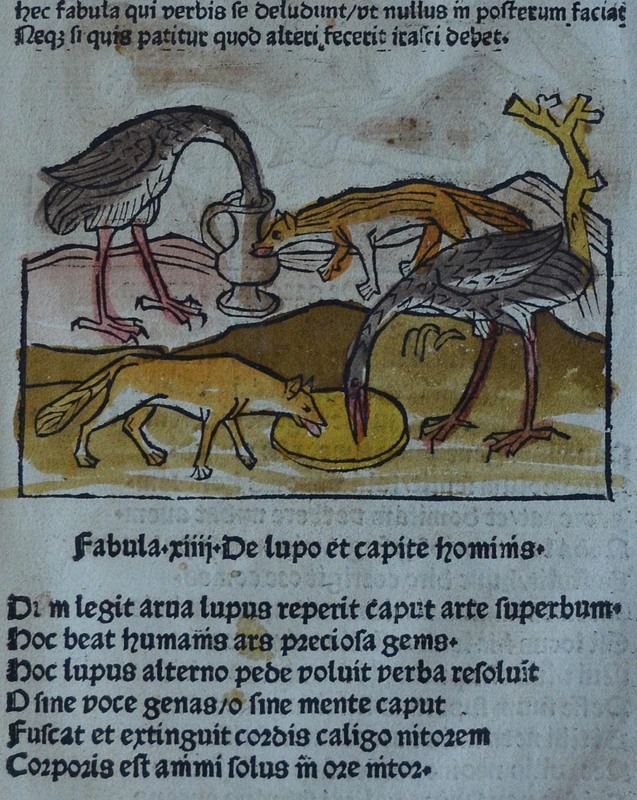 From the «Fables of Aesop» (Aesopus, Vita et Fabulae, Strasbourg, 1481). From the National Library of Russia. 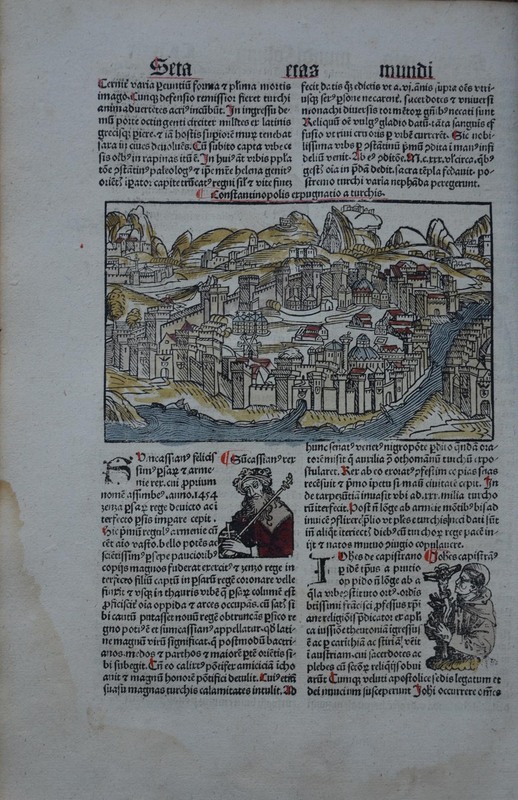 Vaclav Koranda (†1453) – Hussite preacher. //Vilniaus universiteto bibliotekos metraštis. 2015. Vilnius, 2015. P. 347..